Developments included the F.B.3 which added under wing ordnance, and the FB.4 which had a slightly uprated Nene engine, and added vortex generators on the tailplane to increase handling. The FGA 5 and 6 were given even more powerful engines, several of the FB.3 and 4 airframes being updated as well as new builds added. 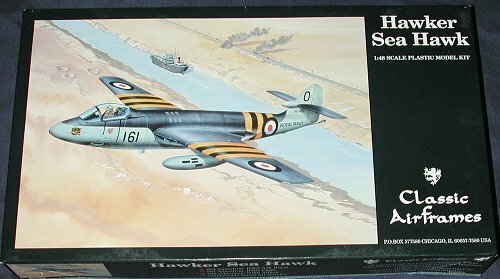 The Sea Hawk's claim to fame was its involvement in the Suez Crisis of 1956, which was basically ground attack sorties against Egyptian air bases. By 1958 it was being replaced by the Scimitar and by 1960 it was all but gone from the inventory, save for a few test aircraft. Markings are provided for several aircraft, all in Extra Dark Sea Grey over Sky, except where noted. First off is an FB.3 from 897 Sq in 1956, next is a Dutch FGA.50 of 860 Sq in the early 1960s. Third is an 806 Sq FGA.6 with a white underside in place of the Sky. Finally, the box art aircraft from 804 Sq aboard the HMS Ark Royal during the Suez Crisis of 1956. The sheet includes the full Suez Stripes and I recommend applying any bomb racks after applying these decals. The decals are superbly printed by Microscale, so you know that you are getting the best there is. You can now toss your still-nice Falcon vacuform kits as this one just is that much nicer. 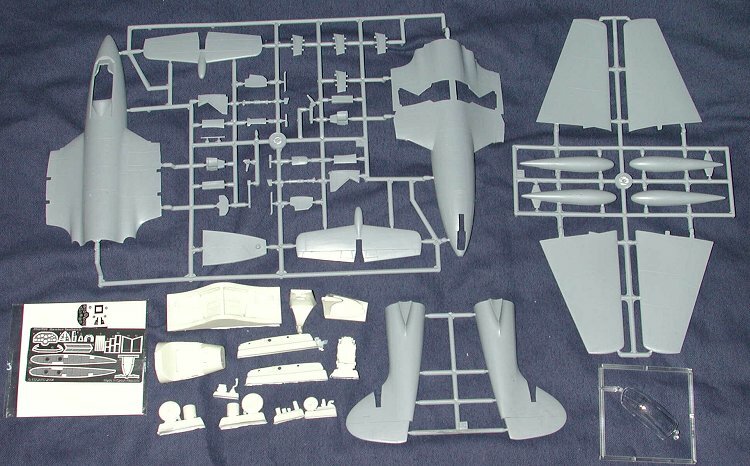 Those who have been awaiting a very nice 1/48 Sea Hawk, don't have to wait any longer. It is a superb kit and test fitting some of the parts shows that it should be a pretty hassle-free build. As with any kit of this type, I'd recommend that you have some experience with the genre before diving into it. I've already started clean-up and some assembly so stay tuned!